There is an old saying, “many hands make light work.” One simple idea proved the wisdom of this saying recently in a special way for the houseparents at the Brentwood campus. As is the case in this ministry, sometimes there is more work to do than there are hands to do it, and so it was this past spring. Short-staffed while waiting for a new couple to answer the call to serve, the duties and responsibilities of the houseparents became even more of a juggling act than usual. Between caring for the kids, maintaining the households and property, and the myriad of details that go into the day-to-day work of houseparenting, the “to-do” list and the hours in which “to-do” them seemed nearly unbalanced. And then an inspired idea occurred to someone on staff with a concern for the houseparents. An old-fashioned idea, but with a modern twist. Historically, God’s people are known for bringing a meal in times of distress. In this age of technology, the internet can be as useful as a casserole dish. A free website called Meal Train (Mealtrain.com) was utilized by that concerned staffer who invited a small group of about eight individuals to sign up online to bring a meal to the cottages. Prepping dinner for a table full of kids, even for a seasoned houseparent, takes precious time and energy. Eight dinners equal at least eight hours. One of the very powerful aspects of social media (especially powerful in the hands of God’s people) is the ability to share simple ideas and connect with like-minded people quickly and exponentially. And that is exactly what happened. 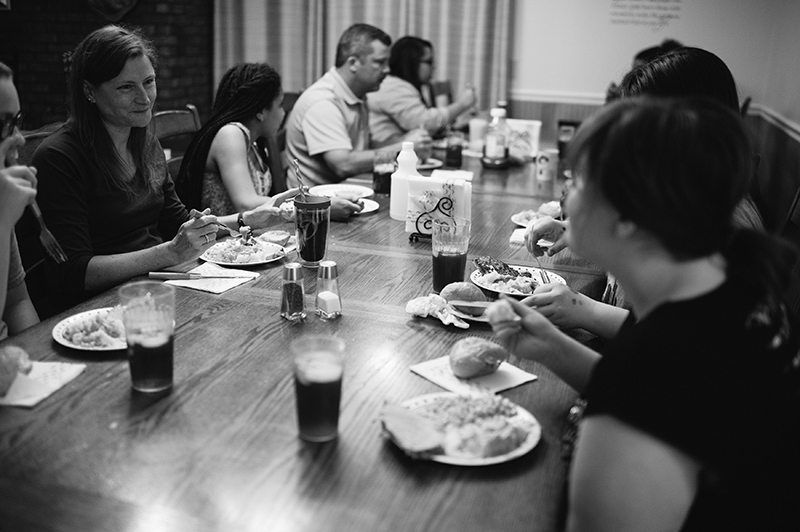 Those eight shared with others, and from the first meal delivered on March 23 (baked ziti and Caesar salad), to the end of June, a total of 74 people had signed up to participate!